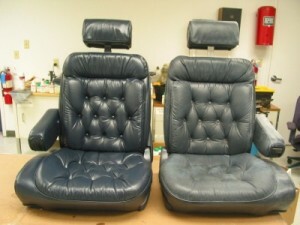 Can Leather car seats be repaired? I am about to trade my car in and have an imprint on one of my leather seats from some item that melted ink on it. I believe it was a plastic item that the ink printing imprinted black numbers on my front seat from being in the sun. Does anyone know how to get the stain off? Also, I have small tears or scratch marks on my leather seats from my dog. Does anyone know if those leather repair kits from Walmart actually work? Or will it cause more damage to my seats if I use it?